What a pretty fabric! It is truly a beautiful fabric...designer Alexander Henry-Kleo print. 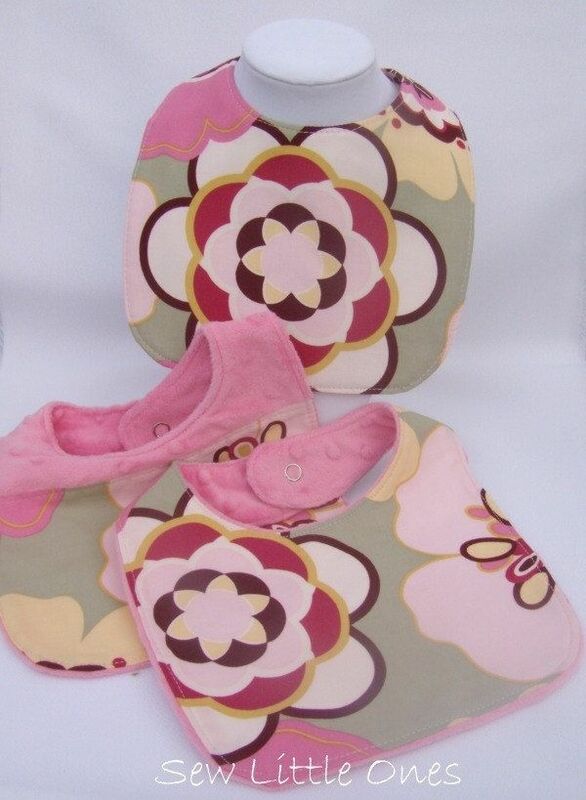 This gorgeous Trio Bib Set was handmade using cotton fabric, layered with hot pink minky. Top stitched and snap closure for added durability. *** Set includes ALL three bibs.